Three words together: Whisky. Advent. Calendar. I often think and rethink purchases, especially around the holidays. This one, however, will not be reconsidered for even a heartbeat. Saw it, bought it. Each drunk neat, natch. No water, no ice, please, just give it to me straight. But I am open to persuasion. And along comes this tasty box of delights to discover. Look at those red waxed heads! December is looking warm, smoky and full of amber fire. Update: I just ordered this. 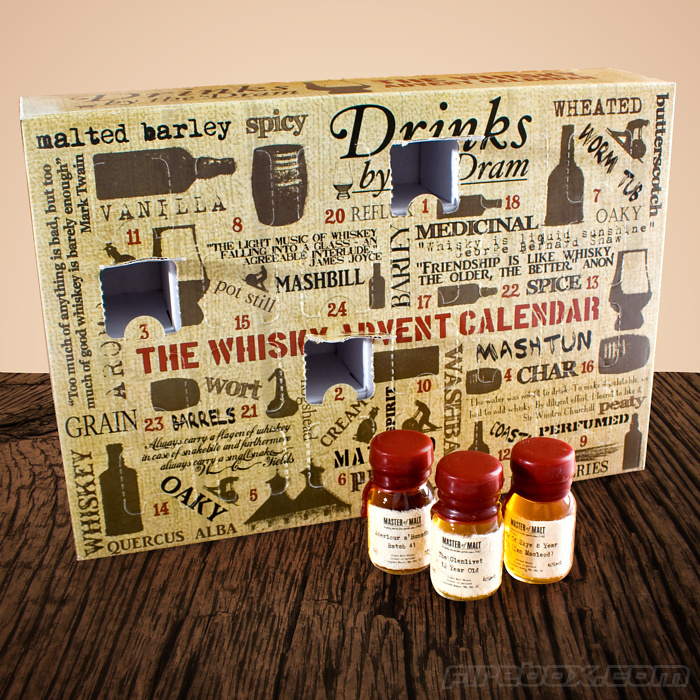 I will be keeping a log here throughout December of the 24 whiskies! And on a side note, there is also one for Gin, if you like that sort of thing. 1 reply to Three words together: Whisky. Advent. Calendar.